the best channeled prophecies are from space. ROMILAR’S MESSAGE. 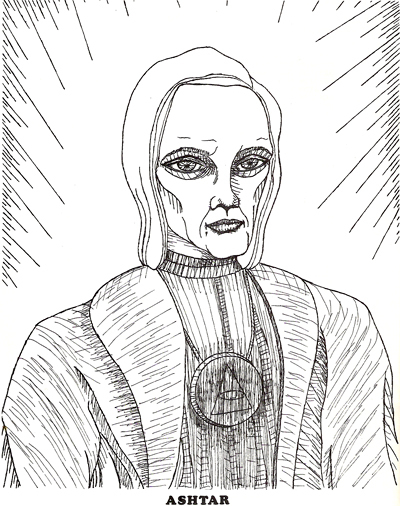 – SOME OF MANKIND ORIGINATED FROM OUT AMONG THE STARS, OTHERS DEVELOPED ON EARTH FROM A SIMPLE AMOEBA TYPE SPECIES. – CREATION GOES ON CONSTANTLY THROUGHOUT THE UNIVERSE. – THE SUPREME BEING IS EVERYWHERE AND IN EVERYONE. ONE MAN SHALL COME FORWARD AND LEAD THOSE WHO ARE WILLING TO LISTEN. – JESUS WILL RETURN SURROUNDED BY AN ARMADA OF GOLDEN SPACESHIPS. – THERE ARE BEINGS COMING FROM MANY DIFFERENT PLACES INFLUENCING THE EARTH. – SPACESTATIONS ARE BEING MADE READY FOR THE EVACUATION. = THERE ARE NEGATIVE SPACE BEINGS THAT LIVE OFF RADIOACTIVITY. – DANGEROUS VIPER SHIPS ARE RESPONSIBLE FOR CATTLE MUTILATIONS. – THE USE OF SOLAR ENERGY IS BEING GUIDED BY THE SPACE BROTHERS. – SOMEDAY THERE WILL BE CITIES OF PURE GOLDEN ENERGY ALL OVER THE EARTH. 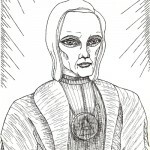 From many, many miles across the galaxy, from another part of the universe, this is Romilar, Romilar the teacher, Romilar the conveyer of mystery, Romilar who sits on the throne in the council next to Ashtar. 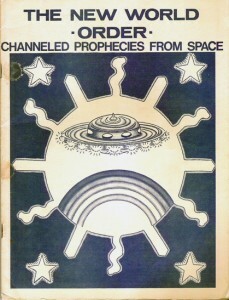 I found my copy of “THE NEW WORLD -ORDER- CHANNELED PROPHECIES FROM SPACE” at The Bins, but it is available on amazon, and probably elsewhere on the net. ASHTAR. Commander in Chief of the Free Federation of Planets, ya heard? Thank you for coming through. I enjoyed talking to you. Someday, maybe, we’ll all meet on Clarion. That would be good. YE OLDE OCHOCO SHOPPE: Open for business. Ochoco Store. Official Ochoco St. Gear. More, better designs to come, but we got the Cafe Press store all set up, in case you just can’t wait to order your Team Manticore shotglass and/or Extreme Jesus PJ’s. Aside from the blog, many new rexellaish things are in the works. Rexella.org is being overhauled. “Another Sniff of Batgas”, the forthcoming album from Rexella is mixed and awaiting packaging. We recorded a new episode of the podcast, which is now in post-production. Another DVD is in the works. Ochoco Street Productions (our video division) is settled into our new studio, and after making several videos for “Another Sniff of Batgas” we are now working on a follow-up to “Jesus Vs The Pope“. This time He will be battling the most awesome of mythological creatures: Manticore. 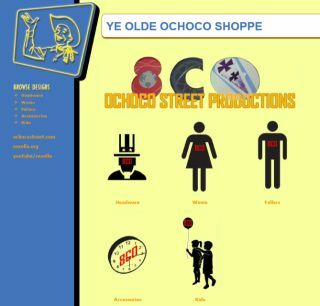 We are also the proud new owners of the ochocostreet.com domain and are working on an Ochoco Street Cafe Press store, so you can get your Extreme Jesus wall clocks and Team Manticore boxer shorts and such. While you wait for all this goodness, you can try to enjoy these remixes of tracks from “Another Sniff of Batgas”. Good Luck!